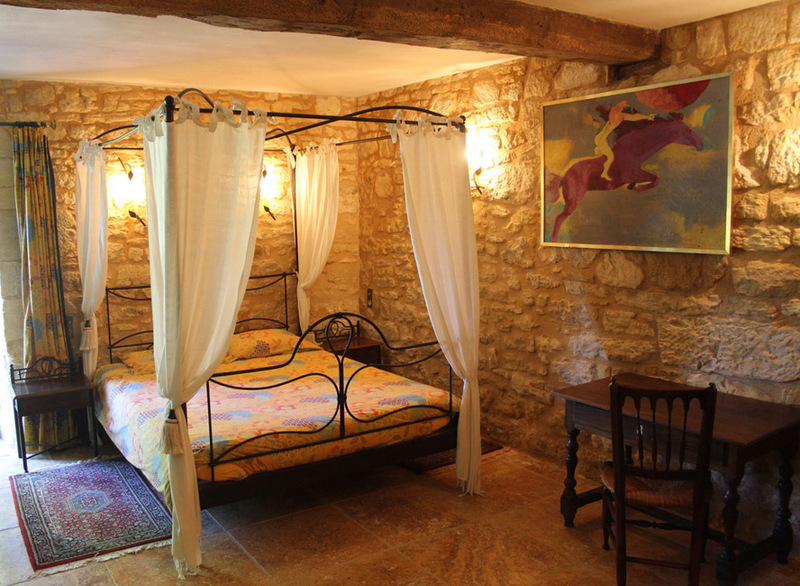 “Le Cèdre” is a high-quality, delightful apartment for 4 to 6 people, covering 100m², 2 bedrooms, large living room and entrance hall, bathroom, wc. 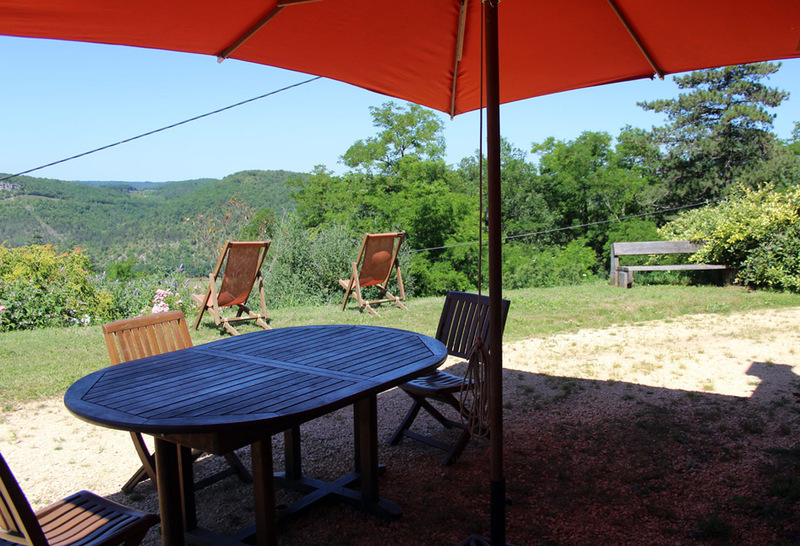 Enhanced by a very large terrace, Le Cèdre lies on a superbe site overlooking the Céou valley, with lovely views of the lush green hills opposite. 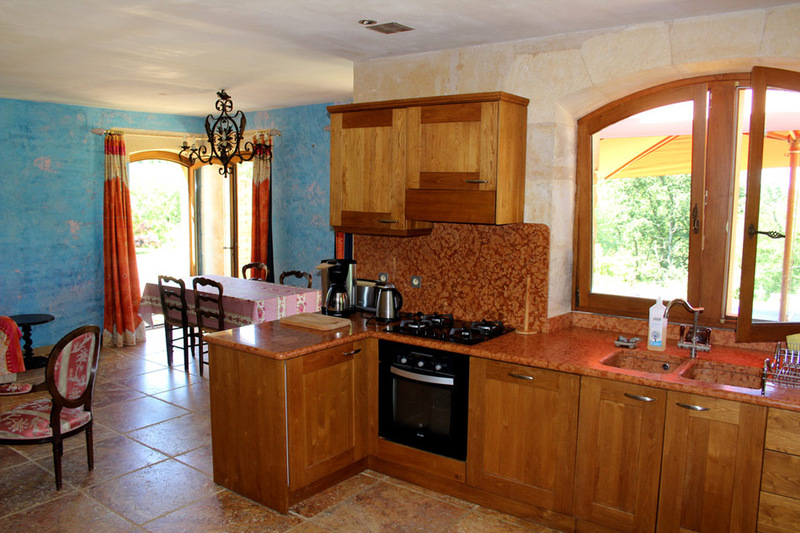 A large living area, comprising kitchen, dining-room and sitting-room. The floor is laid with large travertine tiles in ochre and red. The kitchen units are in solid chestnut, with a work surface in Verona marble. 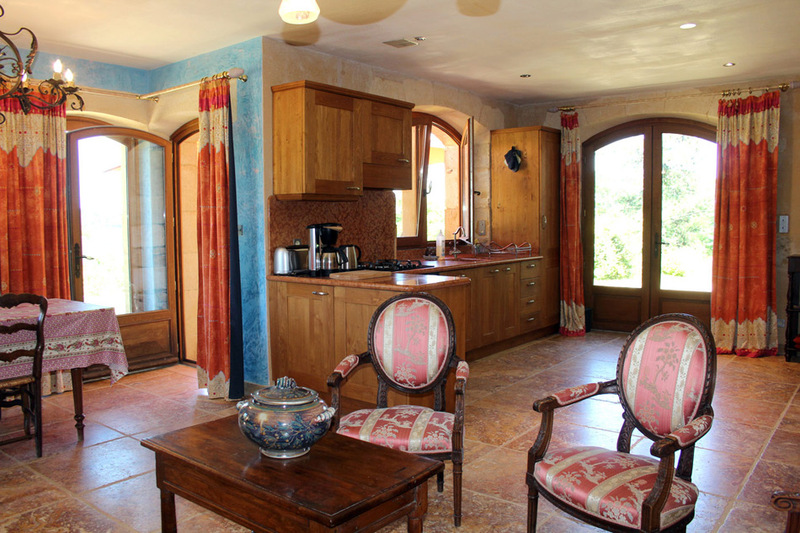 You enter through a large living area, comprising kitchen, dining-room and sitting-room. The floor is laid with large travertine tiles in ochre and red. The kitchen units are in solid chestnut, with a work surface in Verona marble. The dining-room is bathed in the light from four bay windows with views over every part of the surrounding countryside. 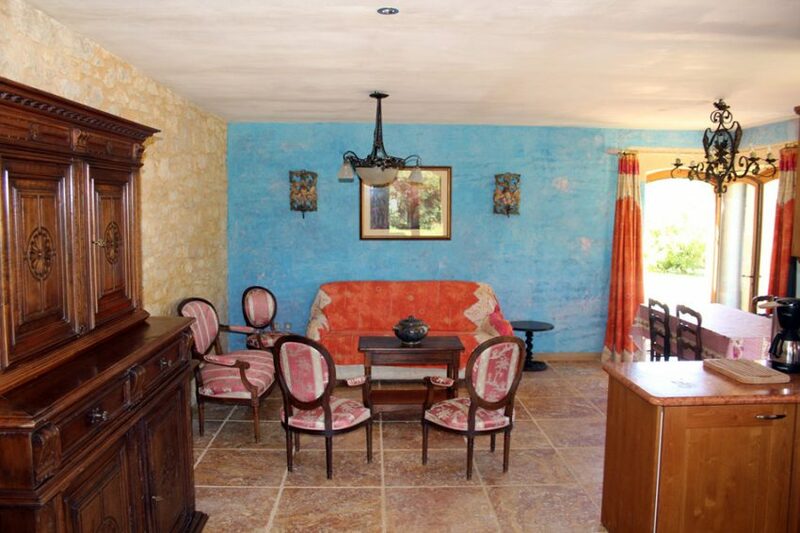 The living-room is in iridescent colours of pink on a foundation of blue and pink stucco. 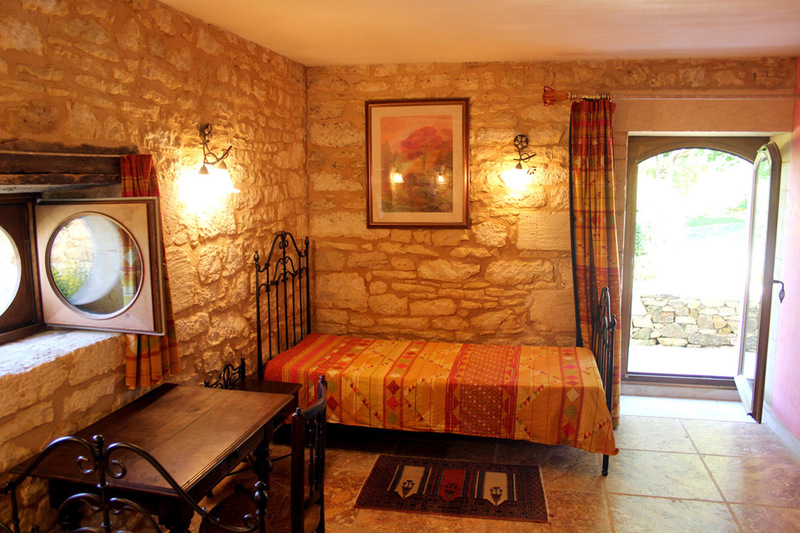 The two bedrooms are lit by the rising sun and look out over beautiful green scenery. 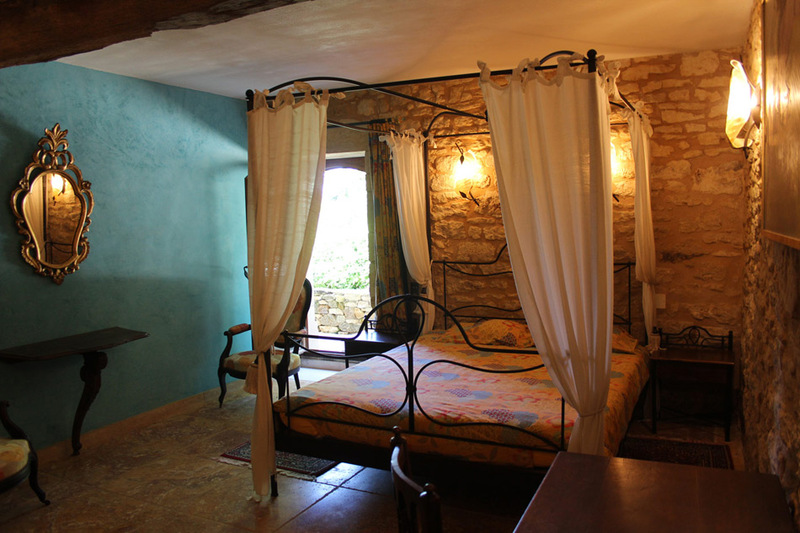 The parents’ bedroom, with baldaquin bed, has walls both in open stone and in a greeny turquoise stucco. The childrens’ bedroom is in soft red vermilion colours. Salle de bain et wc sont en lave émaillée aux couleurs chatoyantes, assorties aux couleurs des chambres. 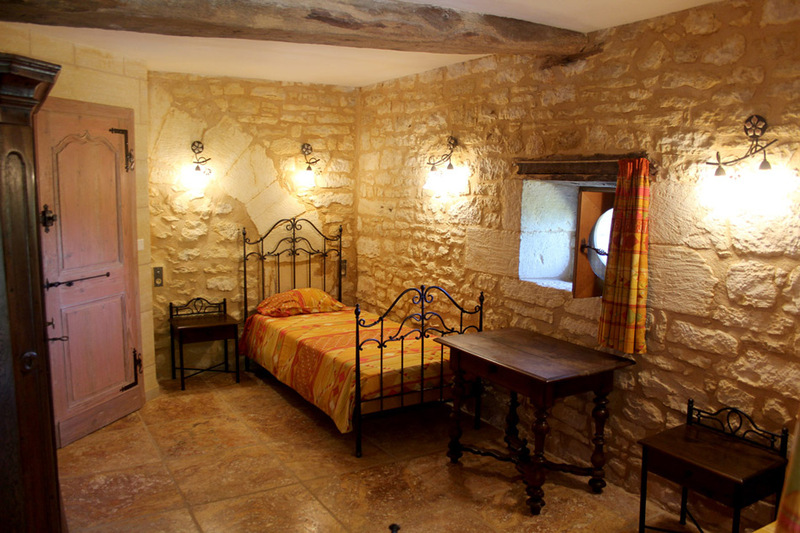 The bedrooms have antique furniture – cupboards, tables, etc. The bedspreads and curtains are in Italian colours. Freely available: garden furniture in teak, deckchairs, barbecue and sunbeds.